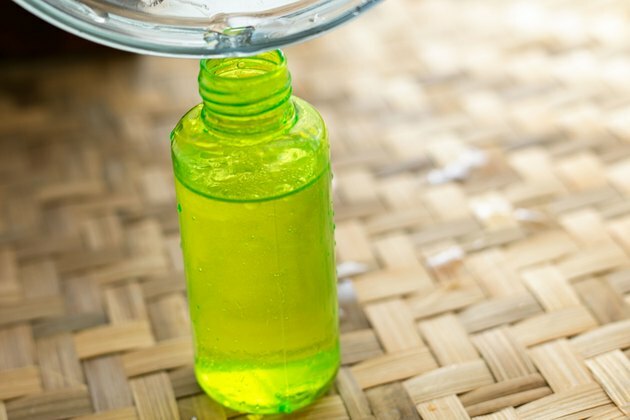 Vegetable glycerin, a natural by-product of the oil production process, is an odorless, colorless liquid often used as a cosmetic additive in lotions, moisturizers, soaps and shampoos. According to Botanical.com, glycerin has emollient-like properties that soften and soothe the skin, and assist in retaining moisture. 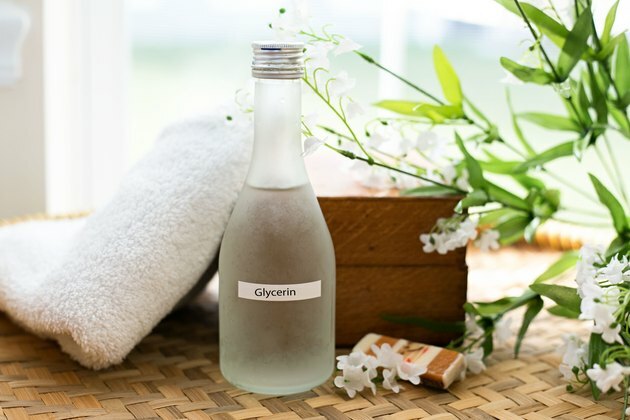 A well-known humectant, glycerin also draws moisture from the air to the skin, which makes it an ideal ingredient for homemade moisturizers. This recipe yields approximately 4.5 ounces, or about 25 applications, of glycerin moisturizer suitable for all skin types. 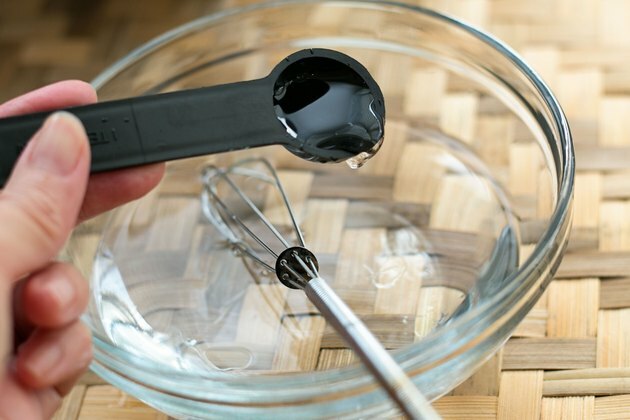 Combine the water and vegetable glycerin in a small mixing bowl. Stir using a wire whisk until thoroughly combined. Add the cold-pressed vegetable oil, and whisk again to combine. Use any type of cold-pressed oil you have on hand such as avocado, peanut, sesame, sweet almond or apricot kernel. 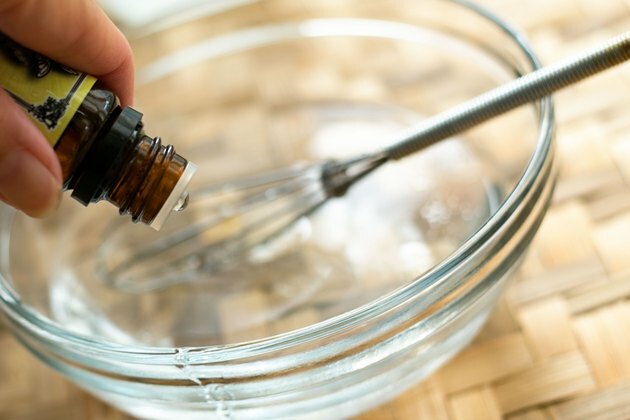 Add the essential oil to the glycerin mixture, and whisk to combine. Use an essential oil suited to your skin type for the best results. Lavender and rose nourish normal skin, cedarwood and rosewood hydrate dry skin, and citrus-based oils such as orange and lemon combat oily skin. 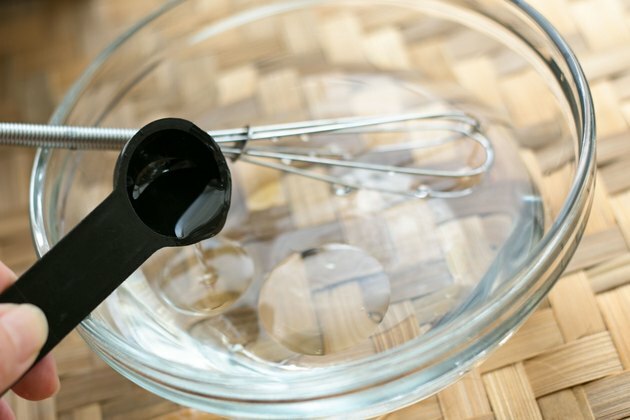 Transfer your homemade glycerin moisturizer to a plastic or glass bottle with spritzer top. Store in a cool, dry place out of direct sunlight when not in use. Use within thirty days for maximum freshness, or refrigerate and use within four months. 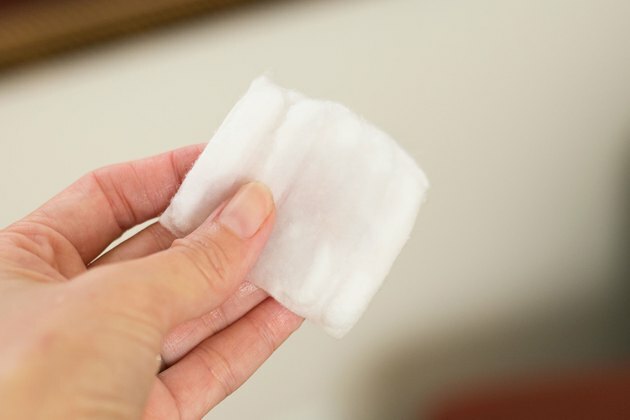 Apply to face and throat with a cotton swab, or gently spritz onto the skin. Allow the mixture to dry without rinsing. Repeat daily after washing with a gentle cleanser, or anytime your skin needs refreshing. In her book “Better Basics for the Home,” Annie Berthold-Bond recommends making your glycerin moisturizer with avocado oil for dry or aged skin, and peanut or sesame oil for oily skin. Sweet almond and apricot kernel oils are lighter and suitable for all skin types. For extra moisturizing action, use rose water or lavender water instead of spring or distilled water. For sensitive or very dry skin, substitute aloe vera gel for 1 to 2 tbsp. of the water.